Home > Uncategorized	> Religion Has Run Out of Wine! Mary, Jesus and all the disciples are invited to a wedding, probably a Tuesday, the third day of the week (Resurrection Day!). No mention of Joseph here, some have speculated he died early, leaving Jesus to provide for the family . . . The wedding feast would last several days. It was the responsibility of the couple and their respective families to provide enough food and wine. In fact it was a matter of honour to do so. Running out of wine was a serious matter, the couple may even have had to go to a money lender to solve this problem, thereby starting their married lives in debt! Jesus provision means we don’t have to go into debt to fund His work and mission! 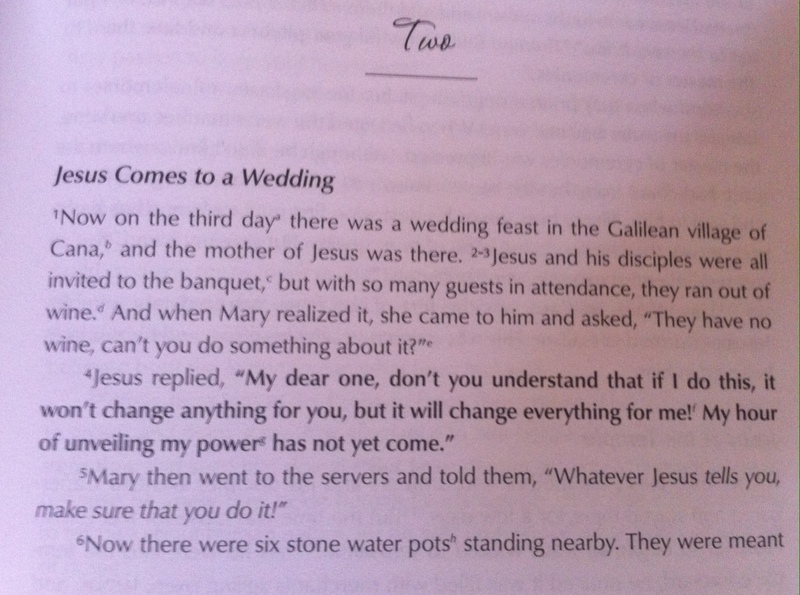 Mary asked Jesus to do something because the wedding feast no longer had wine. She was saying, ‘Religion has run out of wine.’ Religion alone cannot gladden our hearts! Jesus reply was, in effect, ‘what have we in common if I do this?’ In other words his status, how people perceived him would change dramatically, Mary’s not so much. Jesus already had disciples, what a miracle would do here is accelerate his ministry. Are we ready to have our own ministries accelerated, perhaps dramatically, perhaps by signs and wonders!?!? Did Jesus drink this new wine? The six pots of water . . six stands for ‘man’ or ‘human’. The pots represent our human efforts, at best the water washed the outside of people, their hands and feet, faces perhaps. 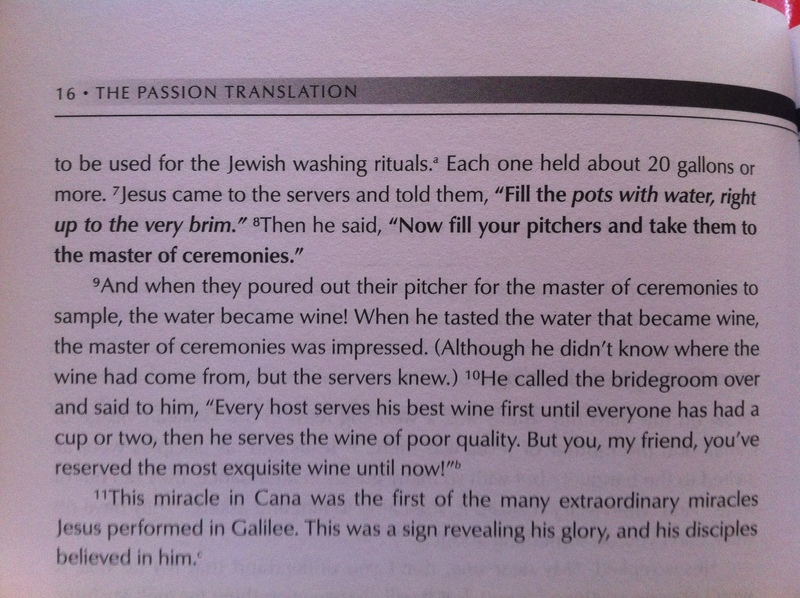 Yet the water would have been dirty, unclean, even though the pots were ceremonially dedicated to their purpose. Our religion is ceremonially dedicated to its purpose, what if we suddenly found it full of new wine? Would we taste, would we drink and how deeply would we drink? 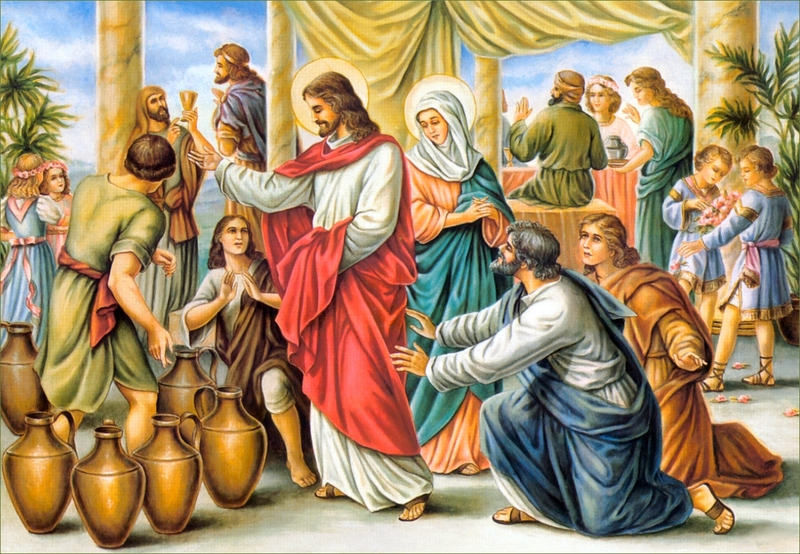 Did Jesus drink this new wine at the feast I wonder? Did he laugh, did he dance? Read the passage again slowly and as you do imagine yourself a guest, there at the wedding feast. What happens? Perhaps Jesus invites you over for a chat, maybe he even invites you to dance with him and his disciples. Imagine his face, perhaps he takes hold of your hands and spins you round. Perhaps he offers you a cup of the new wine, will you drink? Weird huh? Maybe . . .